A Quilter's Table: Giveaway Day Winner! Congratulations to Wendy of Wendy's quilts and more! She was the random winner of the neutral Cotton + Steel basics bundle! The many comments left on my Giveaway Day post were really enlightening. There were lots of folks that had never used neutrals in their quilts. I hope to peruse the comments again and discuss the topic more in a future post, but for now - THANK YOU for commenting and joining in the fun! Thank you so much Debbie. These will be wonderful. 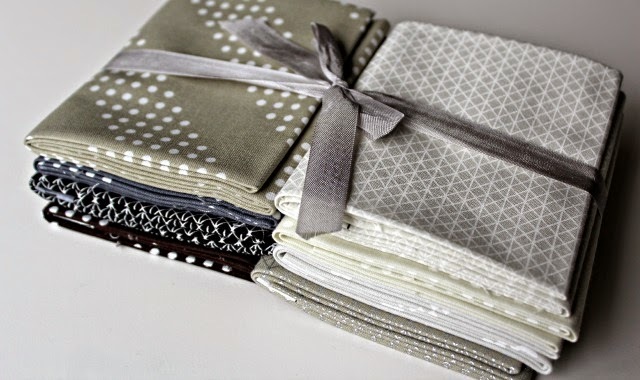 I'm planning on making Jen Kingwell's Small City quilt (pattern is in the Spring edition of QuiltMania) and I will need lots of neutrals for the sky. These will be perfect. Thanks for hosting a giveaway Debbie, and congratulations Wendy!